When the new age of eBook reading came about, you could see publishers getting happy. After all, they could sell their work now in digital form and make money out of it. They saw this as a great opportunity, a cost saving measure, to bring out books easily. Thus, they could now pick up hosting sites, which soon brought books to be held for sale. You could just buy and get the book instantly. You just have to buy the book, and the book appears in your device, smartphone or account easily. Everyone was happy with the possibilities which were there for the eBooks. This is where the concept of eBook reading tools came into light. Within these tools, you could see some being applicable for only smartphones, some just the application. However, within all this, there was Azardi which the changed the game. The first thing we need to know about this ePub reader is its applicability. 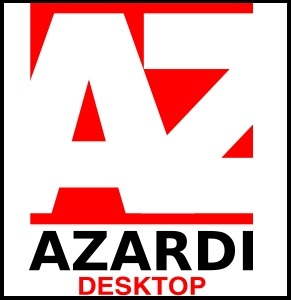 As it were, Azardi is something you can use only on Windows desktop. This is to mean that you may not find Azardi reader to be applicable for other platforms. Of course, you have the native Google Android application for it and other measures, but nothing comes close. You can always see that Azardi works excellent when you use it on Desktop environment. Needless to say, you can’t make it a point to use the tool in smartphones, Mac systems, Linux OS or anything else. Even if you do, you will only be using half the features of the Azardi ePub3 reader. There is always something missing, and it seems a bit different. At the end of the day, you always need a reader which you can carry around. With its only range extending up to the desktop system. Many would term it as a restrictive measure, but that is not the case. On the opposite side of the coin, you can safely say that being desktop only is its strength. Azardi supports all desktop text formats, and more importantly ePub or ePub3 formats. Although you can see that there are many other eBook readers like Aldiko, Sigil, Calibre, Mantano or even Kindle which natively support ePub3, Azardi stands differently. Of course, as this tool is something which is specially designed for Desktop, the whole interface is intuitive. You will see that Desktop version is plain and simple to operate upon. As with most eBook readers like Mantano or BlureFire readers, you get the native support for the reflowable text. 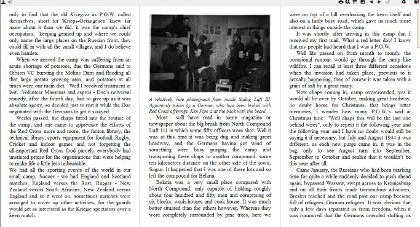 You can read your ebook in the way you like with the reflowable texts. To explain briefly, you will get support for different screen sizes, which will help you never lose out. The fixed layout allows you to readjust the width and height of the text, according to the way you are a device. Since this ebook reader is something only applicable to the desktop system, you can get it to adapt your text to various screen sizes. Any eBook reader worth its salt has this standard feature within them. Yes, we are referring to the ability to have books arranged according to the metadata present in the books. Some readers, like Moon+ reader, Helicon or some other, have a default setting for the arrangement. Of course, this is mainly according to Author attributes, Year of Release and Category. Most of these readers, scan for the information of the books online in sites like Amazon, Scribd, etc. and load up the books. Of course, you can always edit the tags related to the books and get to rearranging the books. All to say that, you have a very similar feature in Azardi ePub3 reader. In addition to grouping books across different categories and genres, you also get an extra feature in this eBook reader. This feature, which comes as a part of Bookshelf management of the eBook reader, is Cross reference. What we mean is that you can, search from within one book about a whole different one. And the eBook app gets around and shows you the keyword search. This way you don’t have to scratch your head about a word, or a phrase which you think you may have read earlier. You search the way you want, without leaving that book you were reading. What happens when you lose out power when you are in the middle of reading? Or worse even the computer or system hangs up. Or for any other matter which stops your reading unexpectedly. Therefore, you lose out on your reading for a million different reasons. Then you may have to open the software application, and load up your book, and search for the last read point. Usually, that’s a tedious task, if you are doing it in eBook. The most simple answer to this is Bookmark feature. Again not a new feature ever, but still a worthy mention in the Azardi reader is Bookmarking. This feature, activated by a double space (or any key combination that you assign the software), drops a pin on the page. When you see that the virtual pin hovers, you have bookmarked a single page. However, what happens when the system failure happens unexpectedly. Don’t you worry, as you have an automatic bookmarking which starts where you left at? Of course, a situation may arise where you may have to leave your system and go some place else. Mostly happen with students using public libraries. Now, in those cases, you may have to log out of the system and lose out on the reading. To avoid this, Azardi asks you to create an account (or login) which records your preferences on the cloud, in every moment. This means that most of the book information is loaded up in the drive. Now, you don’t have to worry about where you stopped. This is put in the cloud, and the information comes back to the user when he logs into the account on a different device and under the same account. There are other uses of the continuous sync of features and user data in a cloud. These, we will have a look in below discussion. With the cloud syncing features becoming a norm today, we have apps to take full advantage of the same. Naturally, every app in the market wants to utilize the power of cloud computing and get its data preserved. Most of this is done through creating an account which allows for your profile to be filed in the application. This is truer in the case of the desktop application which takes to saving your data in the local disks. More often than not, you can see that information is getting saved in the default Books folders in My Documents tree. Or the next best location for apps to store their data is the Programs folder in the local OS disk partition. This brings us to the next feature of the eBook reader for a desktop. The feature in question is Preserving Visual settings. Thus, the app gets you to register an account, by itself creates a folder, and starts syncing you settings to it. Of course, while we are at it, not only is the data regarding bookshelves, books, categories are stored, but also more. We get to save the way we want to look, read and feel about the app. Thus, The visual aspects are more often than not, display sizes, font sizes and types, an arrangement of books and colors and themes. All these and more saved. You get back all your features as soon as you load up the software application. The range of features which you usually get in different tools is also available and improved into this tool. Azardi is a software tool which allows you to change the font size to unlimited levels. With these fonts change available, you will have no problem at all while reading longer texts. This is where your accessibility issues come into play. You may increase the font to the maximum and activate the speech to text feature, which helps older people to read quickly. In addition to this, you will find that the software tool has native support for almost all types of fonts. With fonts adjustment, you also need to watch for ease of readability. It doesn’t make sense if you blindly increase the fonts, and the reading goes down. The overall page setup needs to be adjusted as well. The Azardi ePub3 reader does that easily enough. Now, you don’t have to worry about how the book will look while you read it. The software program will readjust and get to the part of making your reading all the more enjoyable. In addition to these, you also have a way of looking at Footnotes on a consistent basis. You never miss out on any relevant definitions, explanations or such made on the Footnotes. Although for all intents and purposes, the Azardi reader claims to be a particular ePub3 format, it is much more than that. A quick glance at its core system gives us the long list of formats that the reader supports. 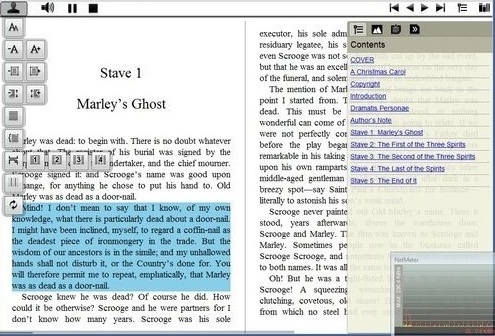 At a core level ePub2, ePub3, ePub Fixed Layout are all supported within the reader. This we already know, as the reader claims to be a core ePub reader from the start. However, in addition to this you can open files with the extensions like HTML5, XHTML, XHTML5. 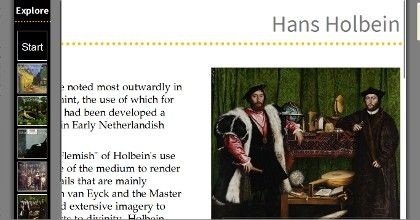 Also, you get all the extensive CSS3 support you need from an eBook reader. What makes the Azardi reader go beyond the usual rat race, is it’s internal ability to support 38 languages. This perhaps is a great feature, as not many readers boast of this facility. You don’t have to worry about loading an eBook, and realizing that you can’t open it. Since languages and RTL scripts are all supported, you can practically open almost anything in this reader. In terms of font support, you get WOFF fonts, and OTF with TTF file support. What this means is that you can get any fonts to load up on the reader. This is important because, you do not have to depend on system font tree, to read books which aren’t supported. Till now, we’ve more or less seen that Azardi reader is something which always reflects the best of the world. It is much like any other eBook reader out there. While all the features we talked about in the above discussion, make life easy, they aren’t exactly new. It’s not like the features are only available for this reader. You may find them in many other reading apps, most of them popular as well. However, Azardi reader does make a good case of utilizing these tools to good effect. Thereby, at many levels it makes you look and feel the eBook reading is something easy and enjoyable. No harm was done. The eBook reader which allows you a safe internet port. How about that? Well, this makes the eBook reader stand out. Now the feature comes in handy, as the eBook reading app, is made for desktop nature. During your reader, you may come across a situation where you need to search the internet for books similar to what you are reading. The risk that you while doing so is that you may end up downloading malware, viruses, or spam content. To avoid such undesirable effects, you may need a secure port while connecting to the web. Azardi eBook reader gives you an internal option to do so. Hence, you never lose out on anything while reading. Most eBook readers, end up doing only what they are supposed to. They just help you read the content, eBooks in question, with as much ease as possible. However, when you are reading, there is a chance that you may want to examine or study a particular image or picture. Of course, this may be a case when you are going through research-based eBooks which you get with detailed Illustrations and Artworks. Unlike many in its league, you can use Azardi to view the pictures with details intact. Image zoom and pan around the facility for these will give you all the more freedom to read the books. The eBooks has a facility, where you don’t worry have to refresh the software tool now and then. This is because, the tool comes with an automatic updates feature, which periodically checks the servers for a newer version. And furthermore, downloads and updates the software tool in the background. Having said that, you can go ahead, and tweak the feature to ask and not download the future updates. Keep your software tool updated for new features and themes to make your eBook reading even more engaging. In addition to the usual features, and the discussed special features, you have other things which make good for this tool. Some other features here are 100% full-screen viewing mode, where you get the clutter-free reading experience. The tool also supports multimedia formats which make it a really good option. The tool supports, Audio – OGG (OGA), WebM and MP3, Play by button, object or audio bar. When we come to Video formats, Video – OGG (OGV), WebM and MP4 are supported. This means you can get to play almost any file to play in Azardi eBook reader. Further, when we have a look at library features of Azardi eBook reader, we have a few things to talk about. Thus, you can get the program to arrange your books in a table or cover thumbnail view. You can get to sort the books in ePub type, title, author, publish date, upload date depending on the metadata. Also, customize table TOC presentation, custom shelves (add -delete), Hide/show shelves and Drag books to the shelf from a library are some of the other features. All these features help you get the best reading experience while reading the eBook, more so, in the ePub3 format on the desktop system. With Azardi, you have an additional option to get your hands on some innovative eBook readers. However, you always a greater input for greater output. With this in mind, we will have to consider that; the eBook reader is only good as the eBooks being loaded into it. As a publisher, you will need the eBooks you bring out to get the best out an eBook reader. Of course, with new technology, and an ever changing scenario of eBooks making, this is a simple task. However, we have been seeing that many self-publishers are not getting to the top regarding the quality involved in the eBooks. Thus, this is where you will need a professional eBook publishing company. We are a world reputed publishing company, with unparalleled experience in bringing out eBooks in possibly in any formats. Drop us a mail, and we’ll transform your work into the best version ever and make it a greater literary success than ever.